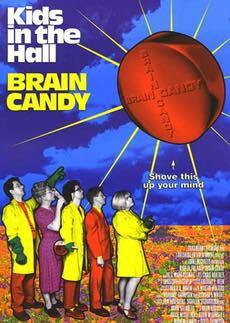 William and Alexander refer you to a troupe of comedy specialists in this talk about Kids in the Hall: Brain Candy. Does the singular movie effort by the famed Canadian absurdists still tickle the funny bone? Take two podcasts and email us in the morning. Find more information about this film and related ones on their respective IMDb pages: Kids in the Hall: Brain Candy, Strange Brew and Airplane II: The Sequel. Previously, we discussed Strange Brew on our podcast and it was a beauty.